Designed for the removal, installation and handing of transmisison of heavy trucks in high position, also for transfer cases on passenger cars etc. 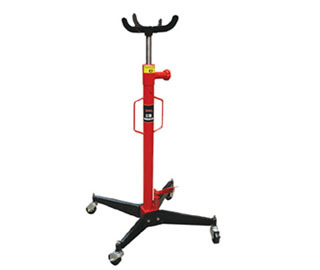 Simple structure, convenient usage, fully adustable universal saddle. 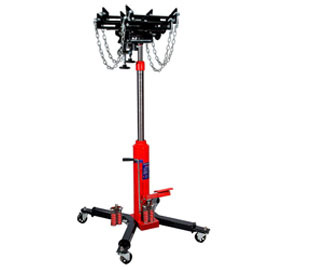 If you've ever replaced a major component on a lifted automobile or truck, then you know how essential a reliable transmission jack can be. 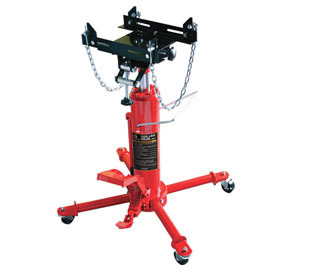 Transmission jacks is perfectly suited for holding and rolling just about any drive-train component in existence.